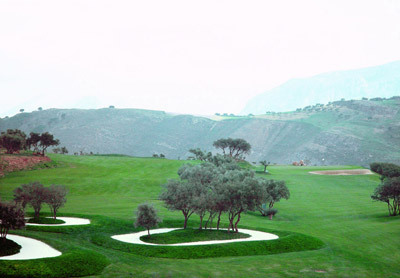 Antequera Campo de Golf is a relatively new course, its development having started in 2001. The first nine holes were completed in 2003 and proved to be very challenging. 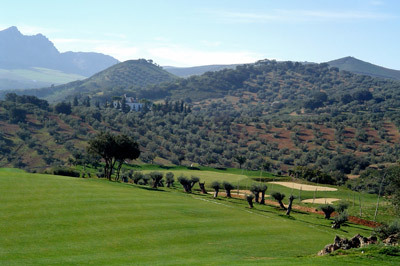 The longer term plan was to create an 18 hole course through the edge of the El Torcal natural park which was completed in 2005. The full course now sports several difficult holes where course management is imperative rather than long hitting, although the 625 metre 14th, through one of the valleys in the mountains, is much easier if you can get in three good strikes even though it is mainly downhill. Water comes into play on 8 or 9 of the holes where 5 of these demand either the tee shot or the approach shot to be played directly over water. You may be surprised to read that the Ladies tees have been positioned favourably to allow for a reduced carry where the tee shot is directly over water. 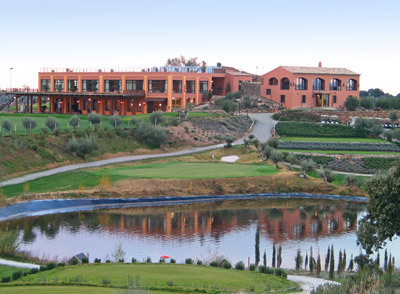 There are also several spectacular holes, a short par 3 over a valley with a wooden bridge to cross it, where the tee has breathtaking views of Antequera and the surrounding countryside; the 15th where the mountains rise vertically to several hundred feet within a few metres of the fairway; and a climb to the 18th where you survey almost the whole of the surrounding course. At the time of originally writing this review (2009), shortly after they hosted the World Student Championships, the course was maturing beautifully but recently both the fairways and the greens have deteriorated somewhat. Green fees are 45 Euros (considerably less than the courses on the Costa del Sol). Regular “Special Offers” are available for green fees; there has been a long standing offer since 2010 of 70 Euros for 2 people playing 18 holes including a buggy, exceptional value for golf in Spain. Although walking the course is both practical and permitted, there are a few climbs between green and tee which would encourage even the stalwart haters (I’m one of them) to take a buggy. Clubs are also available for rent but, from the experience of some friends of ours (three different 4 irons and no pitching wedge in the bag), I would strongly advise taking your own. Booking isn’t essential but a number of regional competitions are held on the course and the management have been marketing heavily to societies so, for the sake of a phone call, it would be wise to check tee availability. There are two numbers for bookings (although these seem to change regularly, so check their website): +34 951 701 900 and +34 951 701 901. 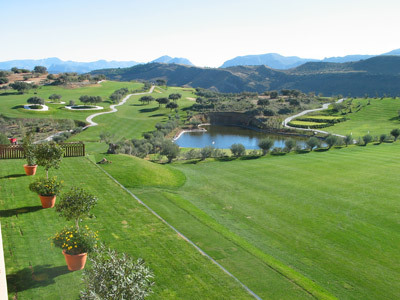 Their web site is: www.golfantequera.com from which the photos are taken. A driving range, a practice putting green and a practice chipping green are open to everyone, not just those paying a green fee.